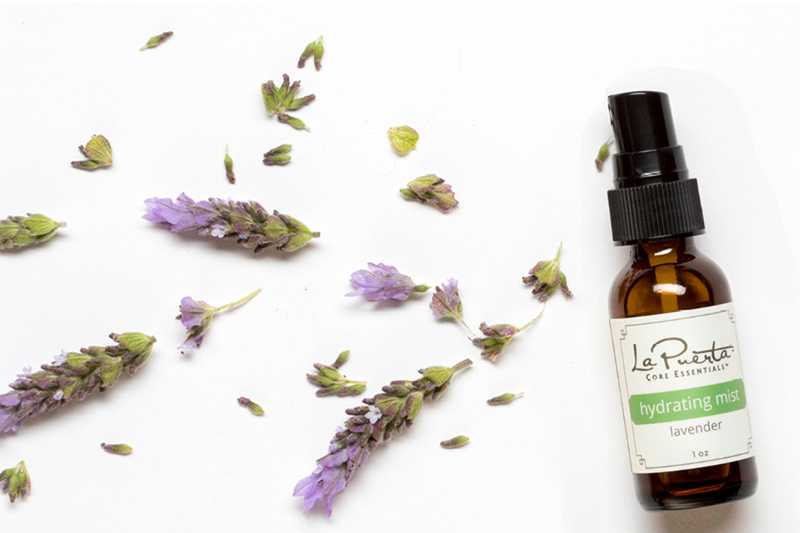 The La Puerta Core Essentials™ Lavender Hydrating Mist contains 99% Certified Organic Lavender hydrosol, which is a by-product of the essential oil process of distillation. Think of it as a softer version of the extremely potent, non-water soluble essential oils. The mist uplifts, refreshes, and awakens the mind and the senses. It also gently balances, soothes, and moisturizes skin. Use the mist with any face or body treatment. For example, mist your face after cleansing, but before applying serum or facial oil. This will help to moisturize dry skin and normalize combination skin and oily skin. Store a bottle of mist in your fridge and use it on hot days for an instant awakening affect, or keep it in your gym bag to use as a quick refresher after a work out. 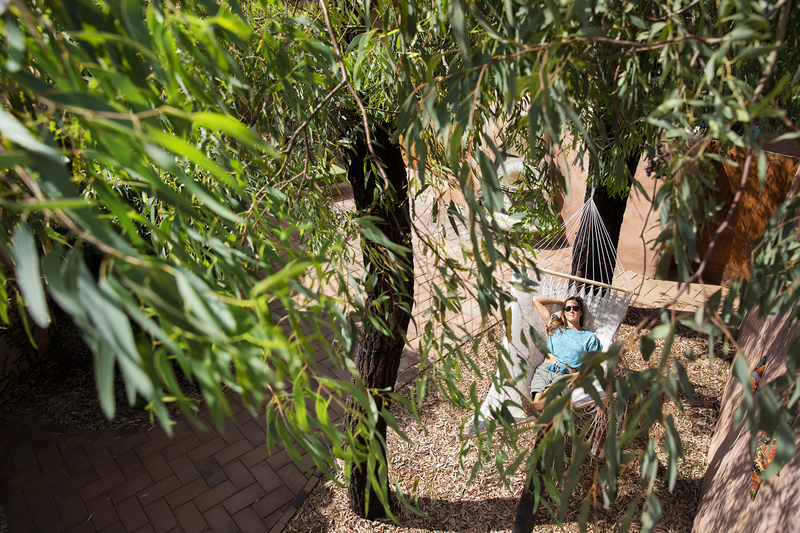 Many of our guests carry mists in their Ranch bags, and use it between activities. Our Recovery Gel with Aloe Vera and Lavender helps calm and soothe irritated, dry skin conditions, and sunburns. Use it in the winter to calm wind chapped skin. While Aloe Vera is a star ingredient in the formula, the lavender essential oil and extract helps to balance, moisture, and renew the skin. 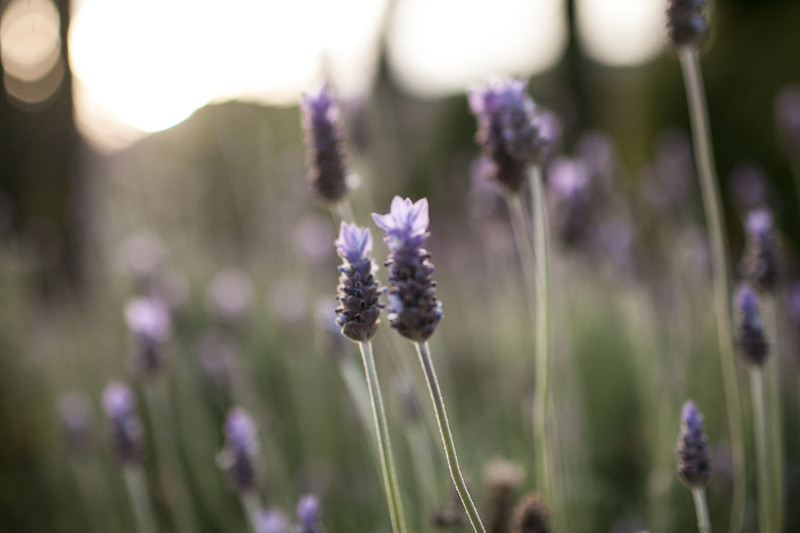 The lavender aroma will also help to calm, refresh, and sooth the mind and spirit. 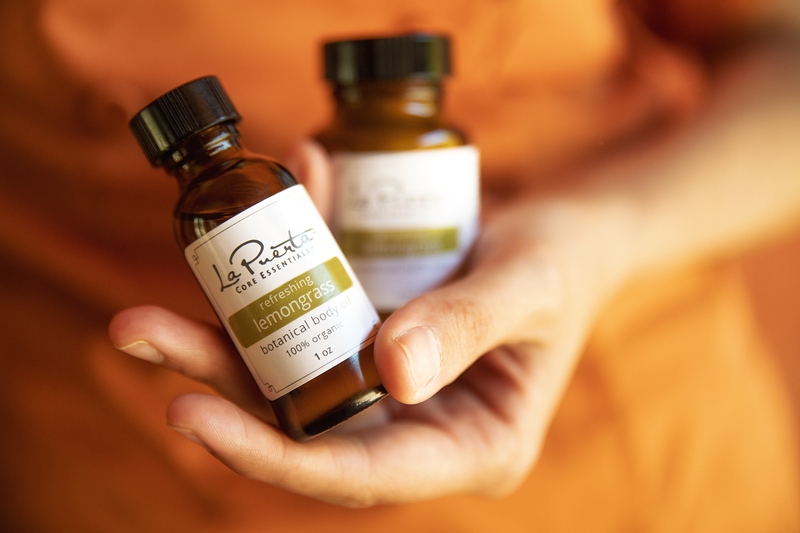 The La Puerta Core Essentials™ Calming Botanical Body Oil is formulated with 100% Organic Lavender Essential Oil in a base blend of certified Organic Oil. 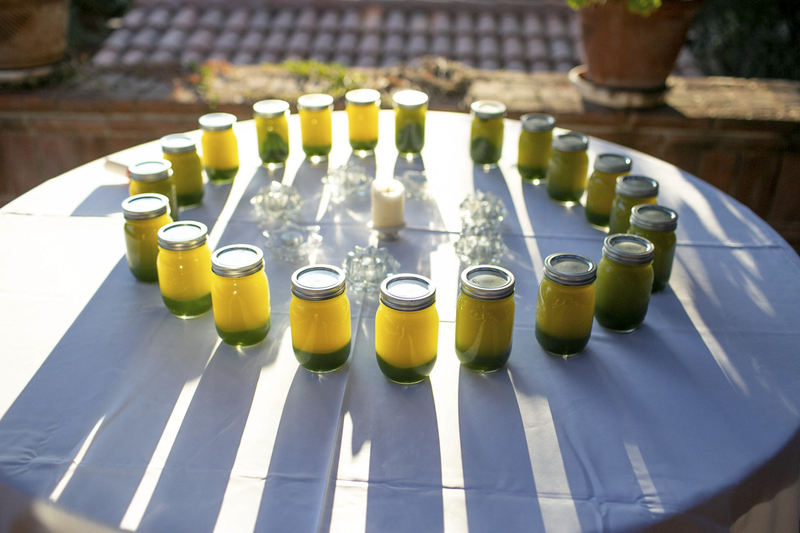 The name says it all – it can calm you down while nourishing and conditioning the skin. Use it on its own as a massage oil or as a body oil after a bath or shower. 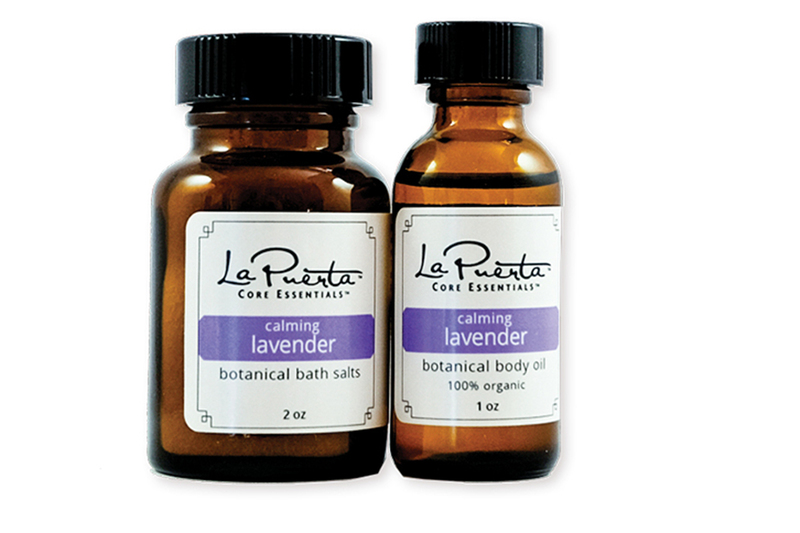 Or, you can create a beautiful bath ritual by swirling one or two capfuls in warm bath water along with a generous handful of the Calming Lavender Botanical Salts for a relaxing soak. The salts help to re-mineralize the tissues and soothe muscle tension. It’s the ultimate bath experience anytime of year, but this feels especially wonderful when it’s chilly outside. The Lavender Sage Hand and Body Lotion combats the effects of dryness from climate or lifestyle, and is ideal for dry skin types. It helps the skin retain moisture so that it is boosted to youthful levels. The lavender in this delicately scented lotion helps to calm and relax the mind, and balance the skin. It’s a perfect addition to any daily skincare ritual, especially in the cold and dry winter months. Want to learn more about essential oils? Check out Essential Oils with Tara Grodjesk for a brief overview about the benefits of essential oils and how to use them. *Rancho La Puera makes no health claims for these essential oils.